The 4D Byfleet data centre is located just off the M25 near Woking and Weybridge and ideally placed for local businesses in the Surrey area. 4D offer both part and full rack colocation solutions. As a full service ISP, 4D offer cloud, connectivity and colocation as part of their service suite. They have a strong focus on customer support (as you would expect from a small, customer focussed provider). 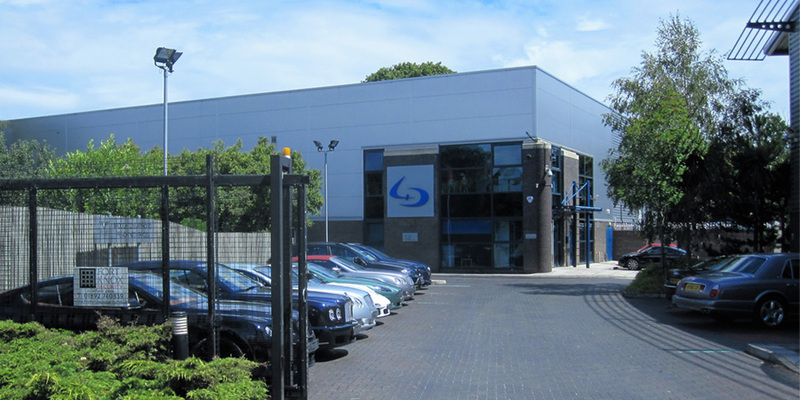 In early 2017, 4D opened a second data centre, located in Crawley near Gatwick Airport, with both sites linked by dark fibre and linked into London Docklands. 4D acquired the Sirius II data centre facility in March 2007. It has been operational since January 2008 with various power and cooling upgrades along the way. The site is well positioned for clients in London and the South East. It is adjacent to the M25/A3 junction and in the heart of Surrey between Woking and Weybridge. 4D provide a network backhaul service to Telecity Meridian Gate. Other carriers available at the facility include Zayo, Global Crossing, Virgin, Cable & Wireless, and BT. 4D are also G-Cloud approved (UK Government virtual services provider) and on the NHS N3 Healthcare network. Standard power is 8–16Amps per rack. This may increase following the recent introduction of cold aisle containment.